First viewings from 28th January 2019. This privately positioned home is a joy to market. As you enter via the boardwalk the mature colourful easy care gardens on both sides engulf you as you make your way to the front entry, which is totally hidden from the street. You do not need to be a gardener to appreciate the variety of this well designed and easy care gardens that awaits you. 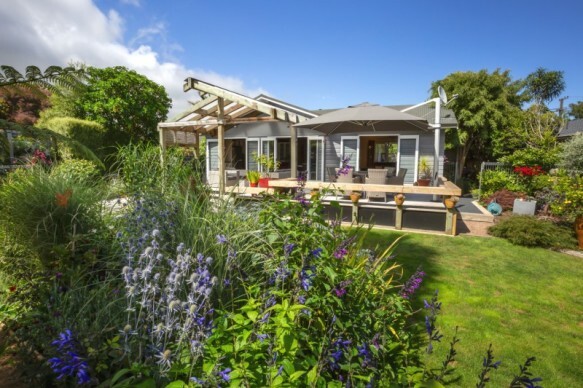 You can see why this garden was chosen to be part of the recent popular Waikanae garden tour as it is a prime example of how to enjoy all seasons for little effort. From the open plan lounge, dining and modern kitchen doors lead out to the large deck where there is an attractive pergola, perfect to entertain and take in the full view of this garden retreat all at the rear of the property. The bedrooms are all spacious with the master having walk in robe and a quality ensuite. A good size bathroom takes care of the family needs. Additional space includes a great area currently used as a home office nook but could be a library/hobby space or even a nursery. 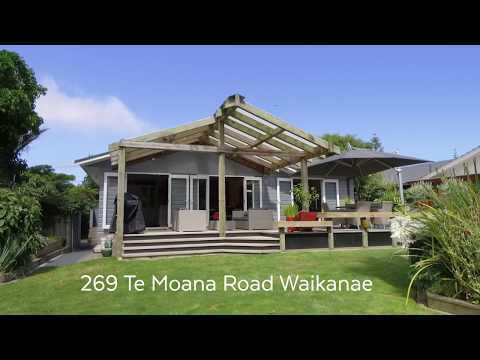 Superb location with the Expressway approx 1km away, making easy travel North or South. There is also a good train service into Wellington. Double garaging and off street parking makes this home the complete package. Start 2019 with a new home, call Ceinwen to view 0800 684 663. RV $660,000 selling by Deadline Sale closing 27th February 2019 (unless sold prior).